Alex Laven, Pine City Area. The junior goaltender faced his highest shots total of the season (51), as he posted a .941 save percentage in a 4-3 overtime win over Duluth Denfeld on Feb. 2. Laven made 10 saves in the overtime period. Tristan Broz, Blake. 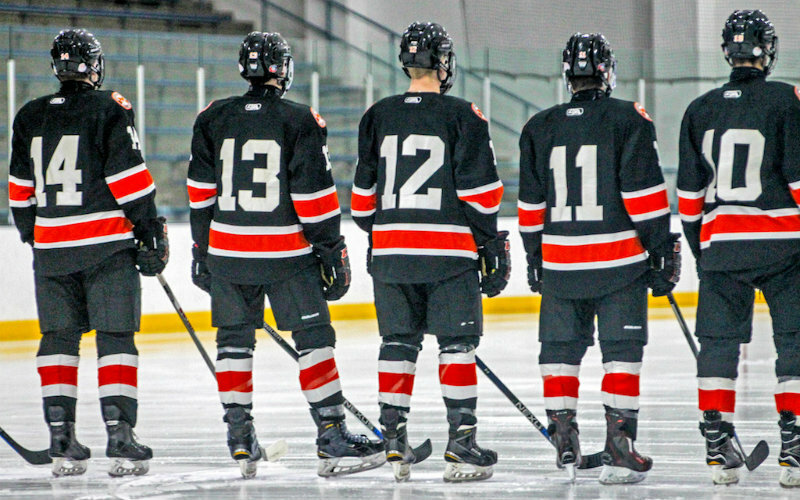 The sophomore forward contributed a season-high seven points — his previous high was four, done three times this season — in an 11-0 win over Providence Academy on Feb. 2. Broz scored four consecutive goals to start the game and added two more goals and an assist later. Josh Dykhoff, Wadena-Deer Creek. The freshman goaltender posted a .946 save percentage in a 35-save effort on Jan. 28. His Wolverines downed Breckenridge/Wahpeton 5-2. Jordan Fjosne, Moose Lake Area. Fjosne, who leads the Rebels in goals (18), assists (15) and points (33) this season, tallied a season-high seven points (four goals, three assists) in a 12-3 win over Legacy Christian on Jan. 31. The junior forward scored his first goal 19 seconds into the game and added two more goals and an assist within the first half of the first period. He finished his scoring with another goal and two assists in the second. Roman Grulkowski, Winona. The junior forward recorded his second hat trick of the season — his first since late November — in a 4-3 win over Red Wing on Jan. 31. Grulkowski scored the only two goals of the first period to give the Winhawks a 2-0 lead, then scored the game-winner with less than three minutes left in the third. Gavin Gunderson, Rochester Century. The junior forward contributed his second five-point effort in the past four games — scoring three goals and adding two assists in a 7-0 win over Rochester Mayo. Calvin Hanson, Kittson Central. Hanson factored into nearly every goal in the Bearcats' 7-6 win over International Falls on Feb. 2. He tallied one assist in each period — two of them on the power play — and, late in the third, scored the game's final three goals in a one-minute span to give the Bearcats the win. Ben Murray, Minneapolis. In a 5-3 win over Lake of the Woods on Feb. 2, the junior forward scored one goal per period. His second, on the power play, stood as the game-winner. Luke Olson, Ely. Olson, the team's leader in goals (29), assists (14) and points (43), recorded a season-high seven points in the Timberwolves' 9-5 win over Bagley/Fosston on Feb. 1. The junior forward scored six goals, including three within a four-minute span in the second period, and added an assist. Isaac Wohlers, Breckenridge/Wahpeton. The junior forward recorded his fifth multi-point effort in the past seven games — tallying four points in the Blades' 4-3 win over Red Lake Falls on Feb. 2. Wohlers contributed a power-play goal and power-play assist late in the first before scoring twice in the second to put the Blades up by four goals. *Stats and records as of Feb. 3.